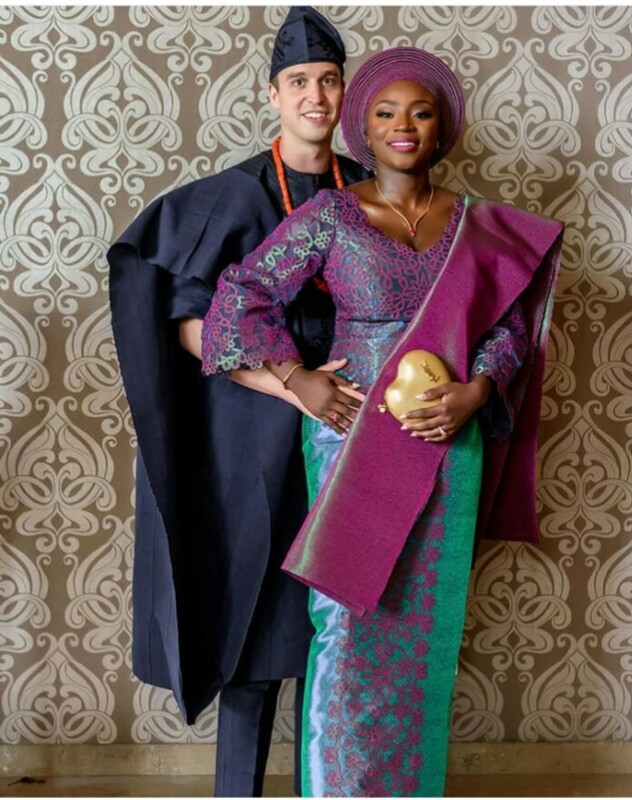 Love truly knows no race. 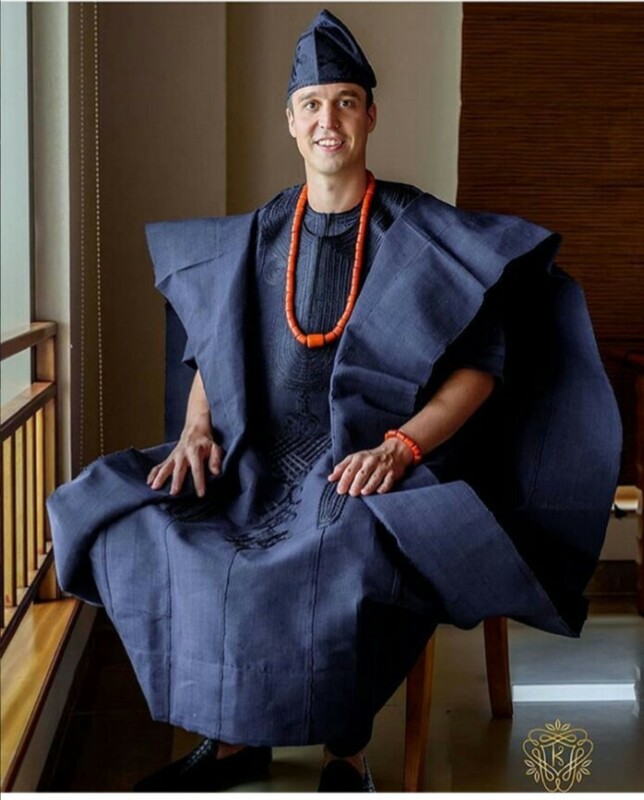 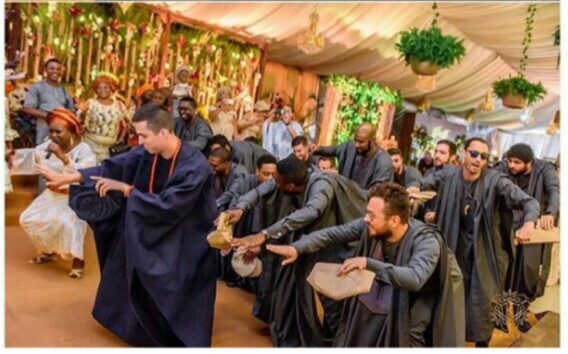 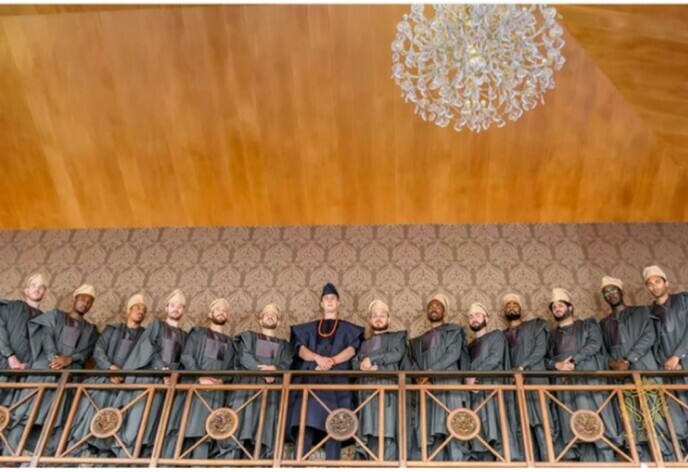 Photos circulating online shows a white man rocking traditional Yoruba attire, agabada, with is groomsmen as he weds his Yoruba bride. 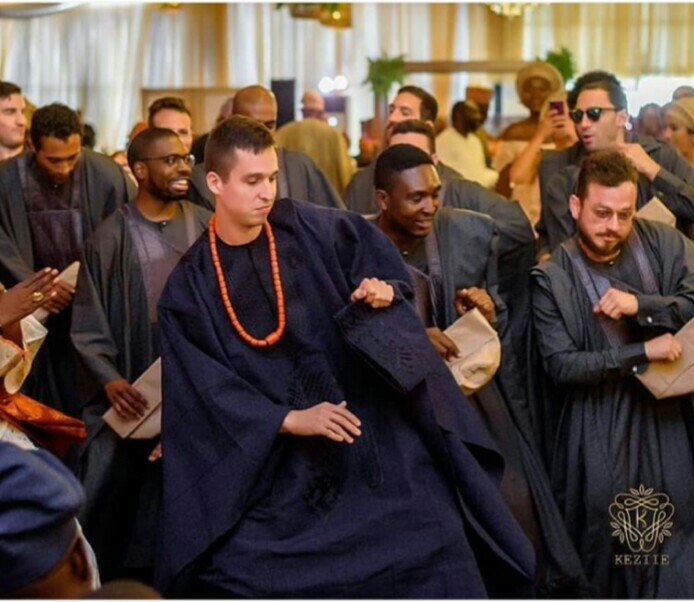 The groom and his men stole the show with their epic entrance and dance steps. 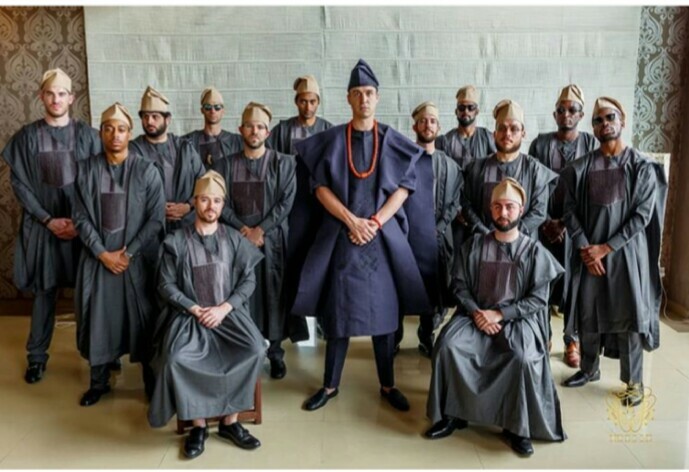 The photos has drawn applause from several social media users.